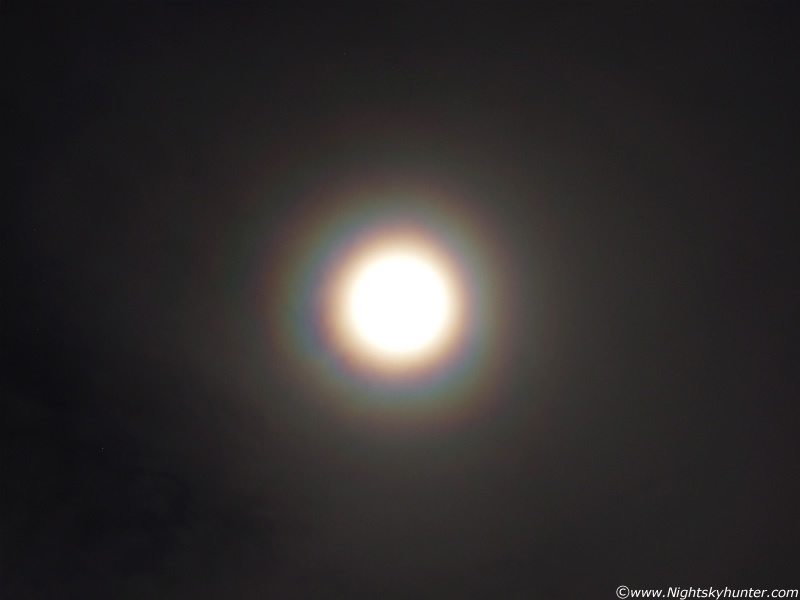 Intense lunar corona with at least eight rings of vivid colour captured at midnight on December 10/11th 2008 from Maghera, N. Ireland. The waxing gibbous Moon (2 days from full) was high in the SW within Taurus at the time. The corona formed when a cluster of fleecy high level cloud passed over the Moon. Other than these scattered clouds it was a sparkling clear freezing night with a severe frost which turned the ground and rooftops white. ISO 100, 4 second exposure using a 28mm lens with a little optical zoom.